Keeping your auto in good condition makes sense on many levels. A smooth-running vehicle is more pleasant to drive, is more fuel efficient, and – crucially – is also much safer. While it’s essential to have your car serviced regularly by qualified mechanics, there is plenty you can do yourself between visits to the dealership to keep your auto as safe as it can be. Although the most obvious sign of a flat battery is a car that refuses to start, the outcome can be a lot more serious than that. Modern vehicles are highly computerized, and suddenly losing all electrical power while driving can make it hard to safely bring your car to a halt. Ensure that your battery is kept properly charged, is within its rated lifetime, and is showing no visible signs of wear and tear. Also, if you notice frequent small problems such as lights blowing out, then have your car’s electrical system looked over – these could be signs of a deeper problem. It’s obvious that if your view of the road is obstructed, your chances of an accident will be increased. 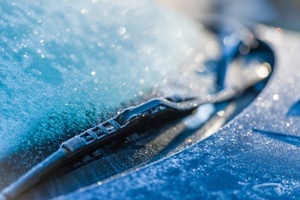 Ensure that your wiper blades are in good condition so that they can cope with heavy weather as well as dust and debris, and make sure that your washer reservoir is properly filled. Also attend promptly to any small cracks in your windshield, as even minor defects can lead to sudden shattering, which isn’t a pleasant experience when driving at speed. Badly worn tires are perhaps the most dangerous aspect of poor auto maintenance, and you should have them replaced well before they reach their legal wear limit. It’s also recommended to check them by eye from time to time to make sure there’s no damage which could lead to a sudden failure at high speed. Also, keeping all tires at their correct pressures will ensure the car handles properly, especially in an emergency when you need a quick response to any evasive action you take. The cooling and fluid systems are vital parts of your car’s safe and smooth operation, but as they often feature parts made from rubber and plastic, wear and tear can become a real issue. A technician will test the condition of all the belts and hoses during a full service, but an untrained eye can spot any visible damage such as cracking or fraying. If you see any problems, have the parts replaced immediately – a failure of any part of your vehicle can be dangerous if it happens while you’re cruising on the highway. Headlights, taillights, and turn signals are all vital for safety, both so you can see the road ahead and so that others can see you. A simple visual check that all your exterior lights are working will only take a minute or two and could literally be a lifesaver. A full safety check of your brakes needs to be carried out by a qualified technician. However, pay attention to any warning signs you come across such as a sluggish response, and have them checked out. Always ensure your brake fluid levels are kept correctly topped up, and if you find that you need to replace brake fluid regularly, have the entire system inspected as this may be a sign of an underlying problem. Don’t take any chances at all with this essential part of auto safety. Having your vehicle properly serviced on a regular basis is the best way of ensuring your car runs without problems. However, every driver can help ensure their auto stays safe on the road by following these simple tips between garage visits.